Parents and Carers play a very important role in the life and work of Newark Primary. We ask for and receive great support from our parents; from ensuring that homework is completed regularly and attending Parents’ Evenings to coming along to support children in their class assemblies and the myriad of additional events in which our children are involved. Our Parent Action Fund Raising Group organise Discos for the children and fund-raising events include Christmas Fair, ‘Bags to School’ collections, Mobile Phone recycling, Bingo Nights etc. 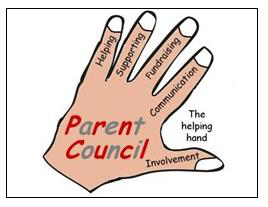 The Parent Council, as a statutory body, has the right to information and advice on matters which affect children’s education. Newark Primary Parent Council meets in the school, normally the first Wednesday evening in the month at 6.30 PM. Parents are important and make a real difference to children’s learning – when parents are involved children and young people do better and achieve more. To build links and involve parents with the wider learning community – nurseries and pre-school groups, other schools and services. To listen to what parents want the PAG to do and report back to the Parent Forum on your activities and how they can get involved.